A few highlights from my extracurricular activities during my Masters programs at The University of Michigan. In December of 2017, my teammate, Ariana Almas, and I won the Poverty Solutions Case Competition at The University of Michigan. 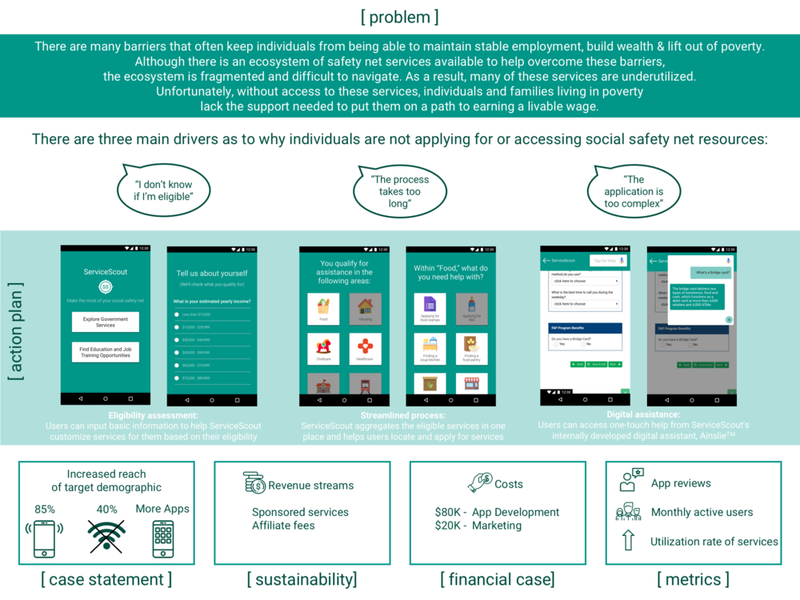 With $100,000 in fictional seed money to propose a solution to poverty in Michigan, we pitched ServiceScout -- a free mobile app that aims to take the headache out of finding and applying to local services and government programs. Our aim was to help low-income Michiganders make the most of their social safety net. 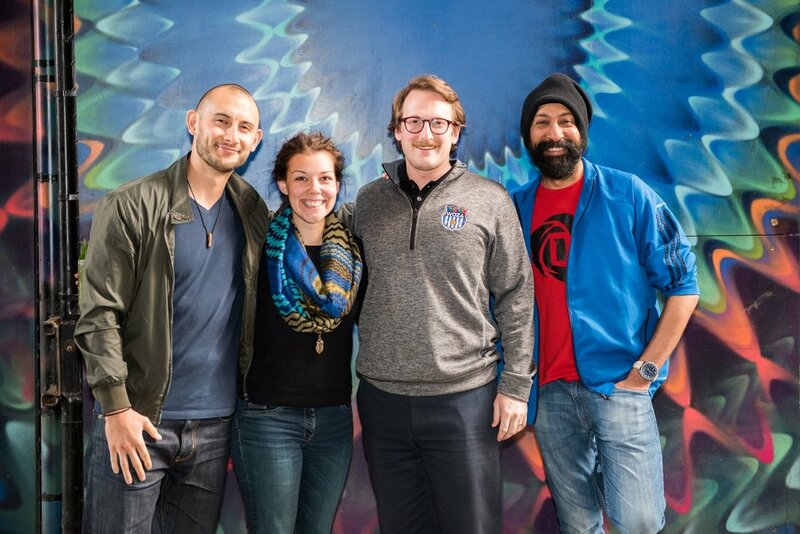 Our team finished in first place and took home the $5,000 cash prize. 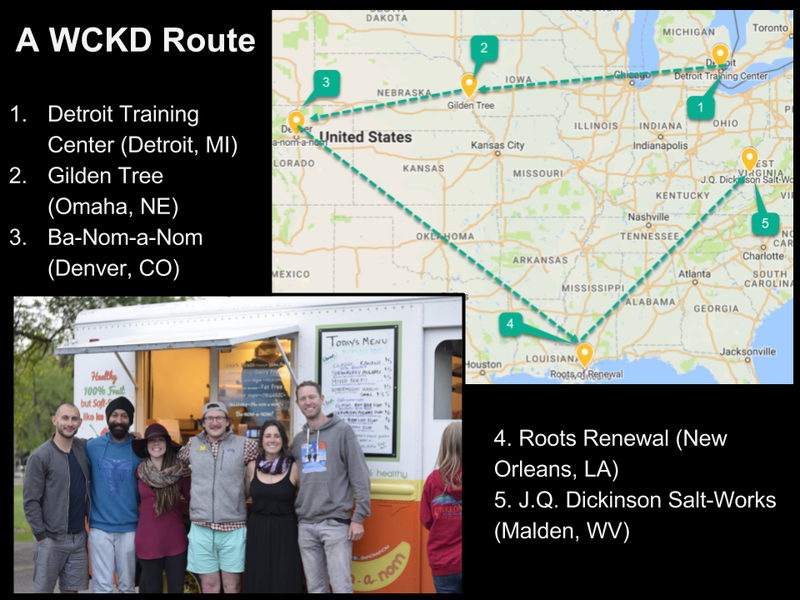 During the Summer of 2017, prior to my internship, I embarked on a five-week cross-country road trip with three of my classmates to provide volunteer business and design consulting to five different entrepreneurs and organizations across five different cities. 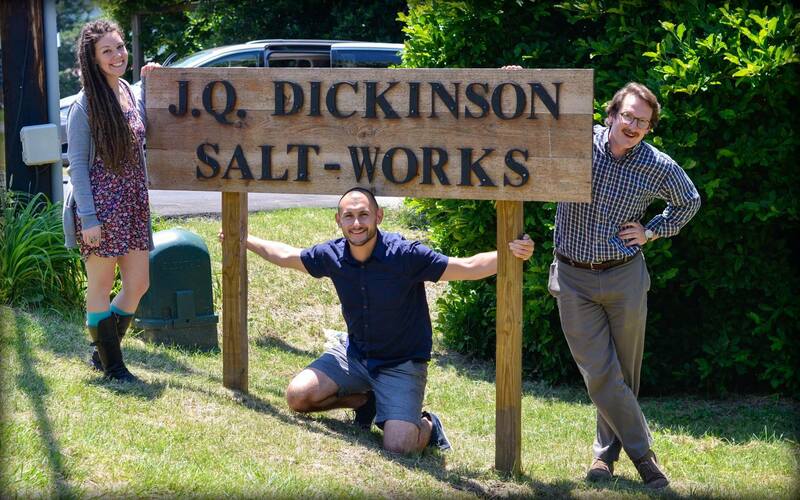 Here is press on the work we did in Malden, WV with an artisan salt maker to try to spur economic growth in the region. Also more about the Open Road program can be found here. 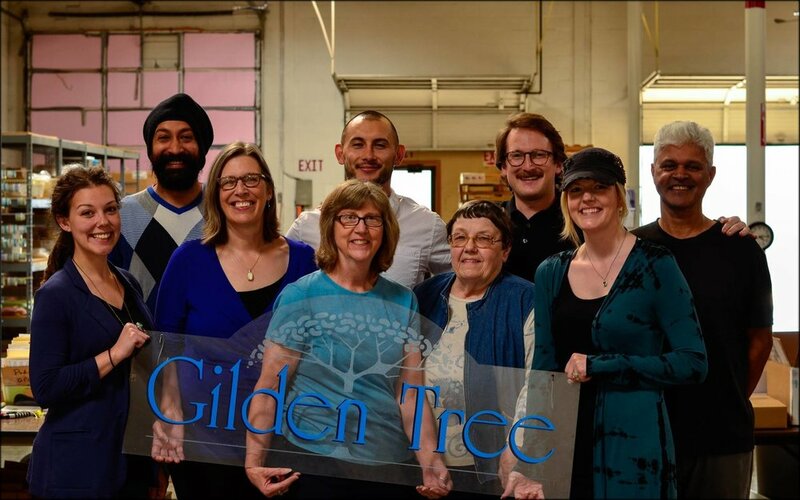 In March of 2017, I initiated and led a volunteer spring break project to collaborate with Homeboy Industries, a social enterprise that helps ex-gang members and the formerly incarcerated by providing training, skill-based classes, and employment at one of their three businesses. With two classmates, we spent the week helping their IT team with the migration to Shopify. This included designing the content architecture for the site, customizing the store theme, and cleaning/importing all of the product data into the new store. 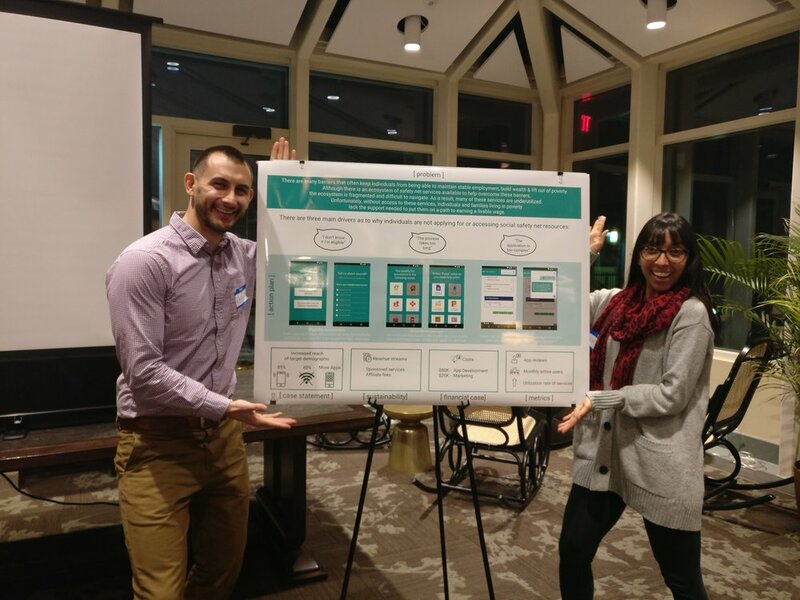 In the Fall of 2016, I led an entrepreneurial project exploring how we can potentially use virtual reality technology as a methods of attacking implicit racism, aiming to use this as a supplement to current diversity training programs. For this project, I received the Ashley Adams Innovation Award from the Munger Graduate Community. In the Spring of 2016, my team and I entered the C.K. Prahalad Grand Challenge, an annual business school competition aimed at using business to make a positive social impact. That year's theme was building a business plan for a product or service that would bring clean water to people in India. Our team designed KleanTeam, a toilet system and process for the use of human waste that would aim to target open defecation, one of the main culprits of polluted water in India. Out of over 100 teams from the US and India, our team won the 3rd place prize. In 2015 and 2016, I volunteered on a four-month long project to assist the Henry Ford Learning Institute, a Detroit-based non-profit, in developing Innovation Springboard, an entrepreneurship program for young students of color. As the design thinking lead for our team, in addition to other responsibilities, I designed the final project for the annual Detroit Revitalization and Business Conference, a conference attended by over 250 attendees, including the CEO of Dan Gilbert's Rock Ventures. More on this project can be found here. Our conference poster with further details of our project.